Getting out into the garden and improving the space can make all the difference, especially for the warmer months! South Africa is known for its glorious weather throughout the year. In the summer you can enjoy warm days and afternoon thunder showers while in winter you can enjoy peaceful and quiet evenings, preferably in front of the fire. This is why patios are so important, allowing you to enjoy the weather no matter what time of the year it is. There are so many different types of patios that you can have, including some with fireplaces or outdoor kitchens. You can truly make the most of the exterior area of your home with the right design and materials. 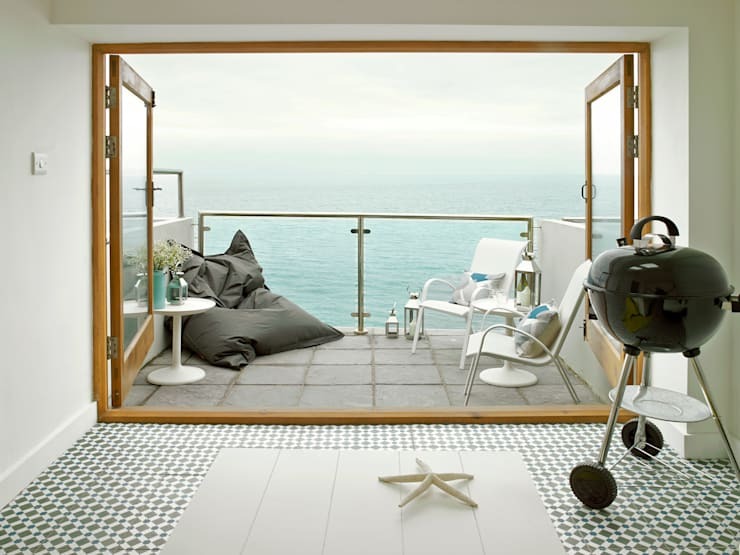 So today at homify, we are going to show you 10 patios that you will love! You will see just how many great designs there are out there and be inspired to create the perfect outdoor space for you and your family! 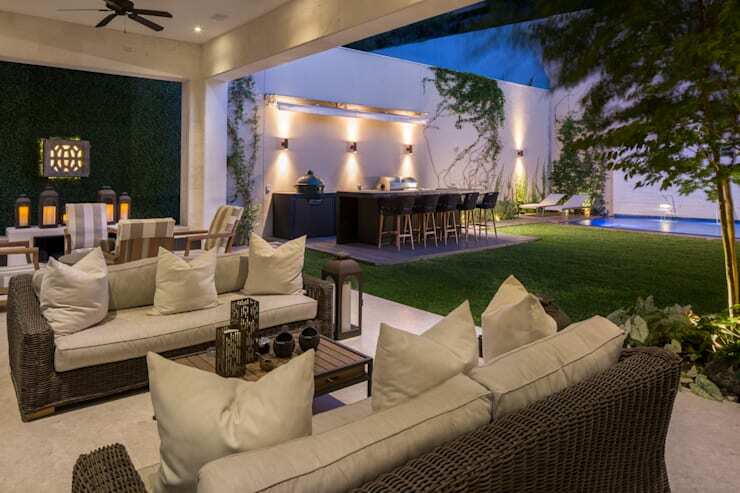 A patio should really act as an extension of your interior living space, which is exactly what the designers have achieved here in this patio by Rousseau Architects. The patio is covered by a solid roof and ceiling, which protects the beautiful and big cushy sofas, the plump pillows and the other wooden furniture. This space features a more relaxed seating area as well as a slightly more formal one. We can also see that the designers have placed a little bar outside in the exposed garden, for when the nights are truly glorious. Don't be afraid to make the most of the space available to you! 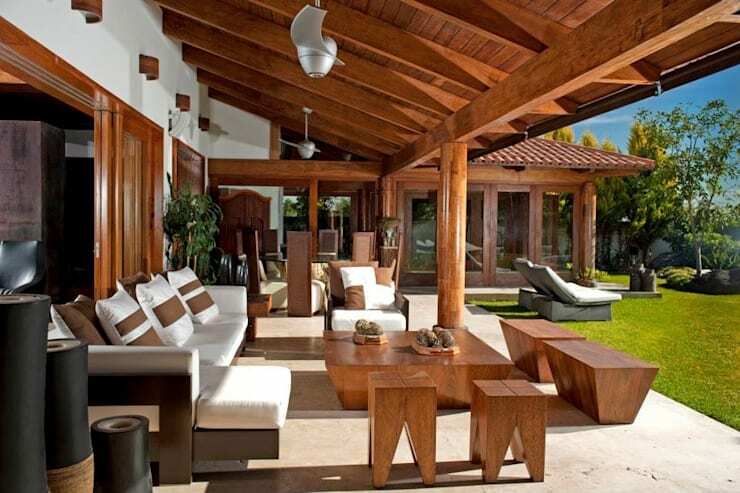 Wood always work beautifully for a patio, because it integrates it into the natural environment around it. Opt for natural wooden beams, furniture and pillars for a gorgeous earthy tone. You'll also notice that the designers have included ceiling fans in this design, which is great for the hot summer months! You can still enjoy reading your book or socialising outside, while remaining as cool as a cucumber. Furniture is key to a gorgeous home so choose wisely. You want furniture pieces that are really going to enhance the outdoor space as well as remain functional. 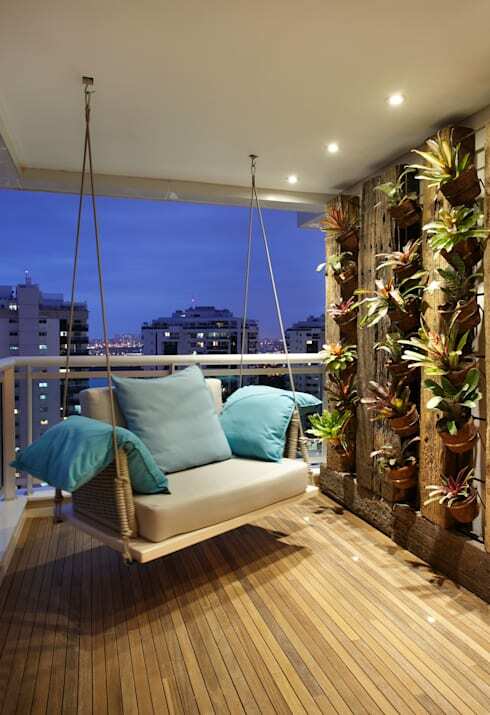 Don't you love this swinging chair that hangs from the ceiling? 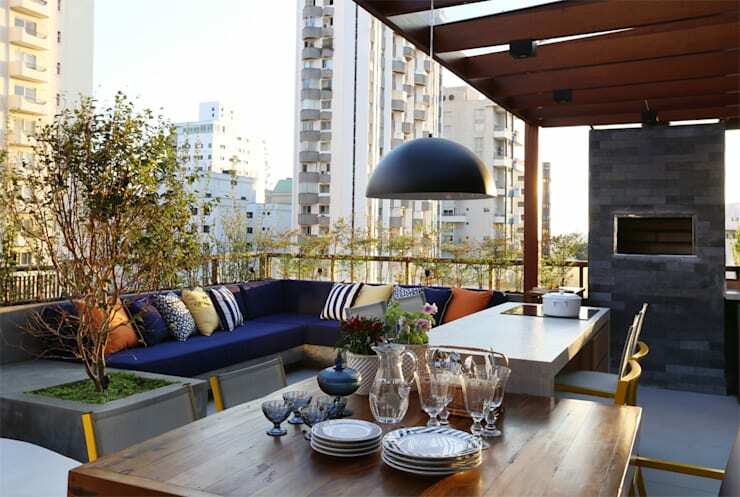 Have a look through the homify patio furniture products for inspiration. Use your patio to create an outdoor cooking area! This is wonderful place to have summer evening braais, winter cook ups in front of the fire and lovely dinner parties. 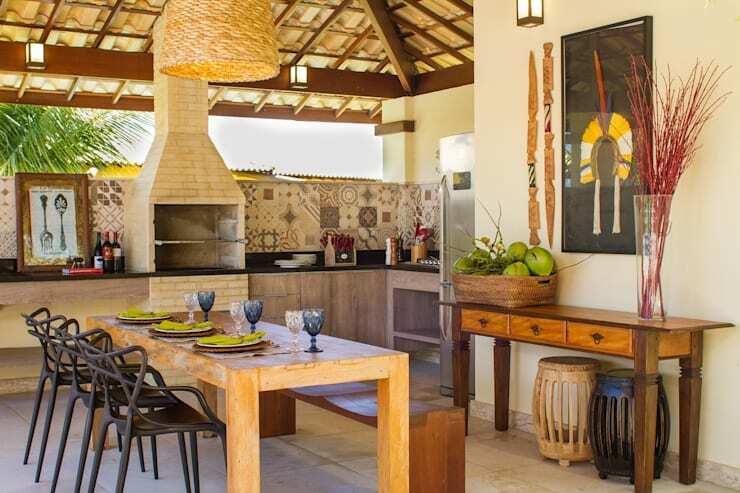 Read these: Tips for creating your own braai terrace. Not only can you create an outside cooking area, but you can truly create a space for entertaining under the stars. In this design by Jamile Lima Architects, we can see how much attention to detail there is. This looks like an interior space that has simply been moved under a roof outside. Don't be afraid to add decor touches, especially if your patio is protected. Remember that your patio should be a little haven so get creative. Look at how these designers have furnished the patio with comfortable armchairs and a gorgeous pergola. They've introduced lavender into the mix, with purple cushions, lavender flowers and beautiful lavender branches. This creates a very soft, pretty and relaxing space where one can be with nature. 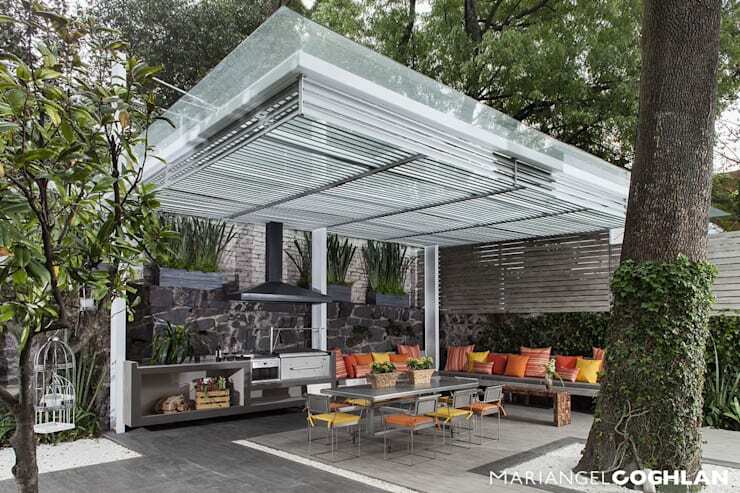 Also have a look at this: Beautiful pergola, no matter what the weather. Don't be afraid to add bold and rich colours to your patio, which will enhance the entire space. 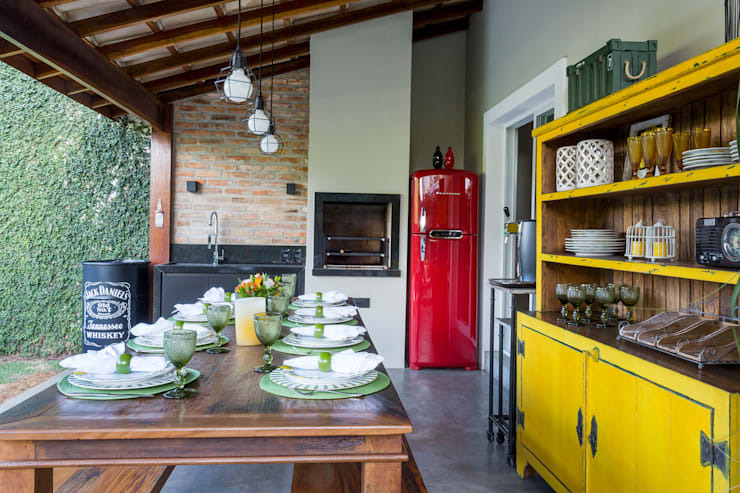 Go for deep reds, blues, yellow or greens in the form of furniture, cushions, decor items or appliances. Also make sure that if you eat outside on your patio, to treat it like a dining room. Set the table nicely and create ambiance and atmosphere. Light a few candles too! One of the greatest advantages of a patio is the surrounding views that you get to enjoy when you aren't surrounded by high walls. 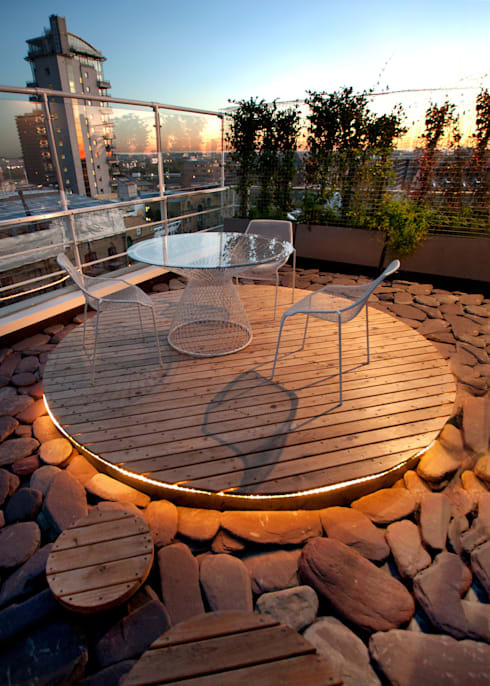 Choose a spot for your patio that really optimises the surrounds. Think panoramic views so try to elevate your patio if you can. Let your patio truly become an extension of your interior by creating a very subtle barrier between the two. 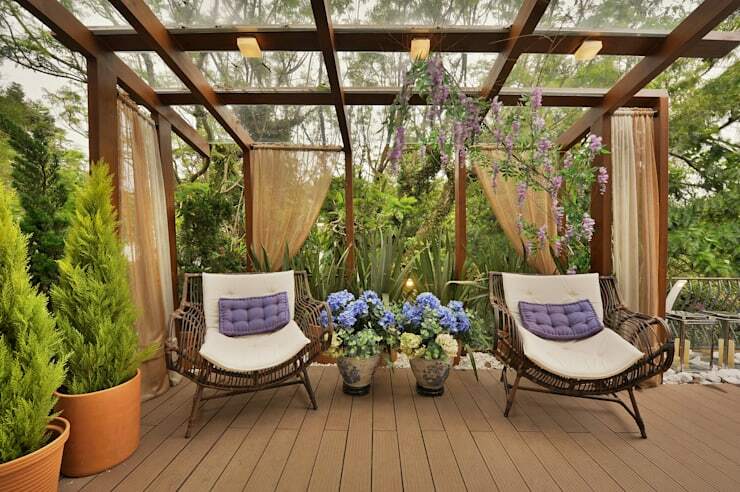 Open large glass doors or windows so that your patio looks like it is part of the interior space. This also makes your living space look that much bigger, especially in a smaller home. In this design by Urban Roof Gardens, we can see just how special a patio can be, which is the image that we choose to leave you with today. The designers have placed rocks and stones all across the roof and have topped it off with a round wooden deck. This deck is enhanced by lighting underneath it. The designers have placed very subtle and basic furniture on top, allowing for the views to be the focal point of the design. Which patio is your favourite and which neighbourhood would you put it in?